Canada’s favorite skate couple won matching titles today as the top skaters in the pro open division of the 2010 National Roller Cup. Speed Skate World’s Peter Doucet came from behind in the last three weeks of the season to take the title away from NROC newcomer Ty Fidler. Canadians raced to the podium steps of this year’s NROC, a North American racing series comprised of a variety of events including marathons and ultra-marathons. Peter Doucet and Morgane Echardour were crowned the Open Men & Women’s Champions while Morgan Williams was the Veteran Men’s Champion. 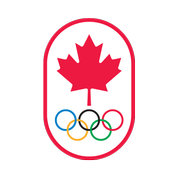 Other Canadian skaters who stepped onto the podium included Herb Gayle (Veteran Men) and Nadine Currie-Jackson (Open Women). Candy Wong was a members of the winning team- Asphalt Beach/K2- while finishing 4th in the Open Women’s category. Also placing 4th in his catergory was Scott Pauley. In the advanced division, Claudia Thibodeau and Chantal Desjardins placed 2nd and 3rd while Montreal’s Dominique Clement was 4th in the senior men’s division. Doucet, Echardour Win 2010 National Roller Cup: Congats to the winners of all 18 NROC divisions!